Shazam! is opening in just a matter of weeks and fans are getting excited. The one thing that fans were hoping for that won’t actually be a part of the film is the appearance of Black Adam. We’ve known for a long time that Black Adam wouldn’t appear in the film, but fans still love the idea of seeing Dwayne Johnson portray the classic villain. With a sequel already seemingly in the works for Shazam! many are expecting that to be when we get the iconic showdown. Also Read: Shape shifting aliens revealed in “Men in Black:International” photo. Fans have known that Dwayne Johnson is on board to portray Black Adam for some time now, but exactly when the DC villain will make his first onscreen appearance remains unknown. However, Shazam! 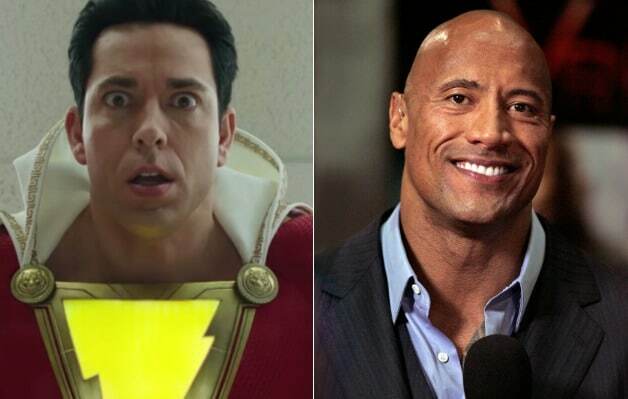 producer Peter Safran indicated Dwayne Johnson’s Black Adam will likely get his own standalone film before appearing alongside Zachary Levi’s hero. Who all are in the Film:Shazaam? Shazam! will be released in theaters on April 5, 2019. Stay tuned to Animated Times for the latest news on the future of the DC cinematic universe as we learn it. Bird Box is going to get a new sequel!